The Mooloolah River National Park is only a few minutes drive from the Sunshine Coast which makes is a convenient location to visit on your next stay on the coast. This park is divided into two zones: Mooloolah River Section and the Jowarra Section. Both areas are known for protecting the coastal rainforests in this area which face the danger of extinction. The majority of the park sits next to the Sunshine Motorway and the Mooloolah River which is accessible from Claymore Road, Sippy Downs. The Jowarra section of the park is accessible from the Steve Irwin Way. 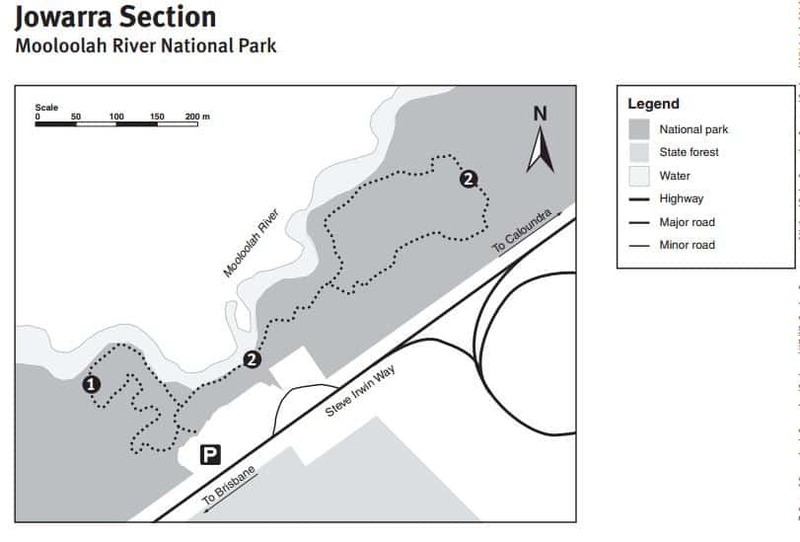 Mooloolah River circuit: 500m (return), a short 20-minute walk that winds along the creek. Melaleuca walks: 1.3km (return), a 40-minute river walk where you may spot a platypus at dawn or dusk. 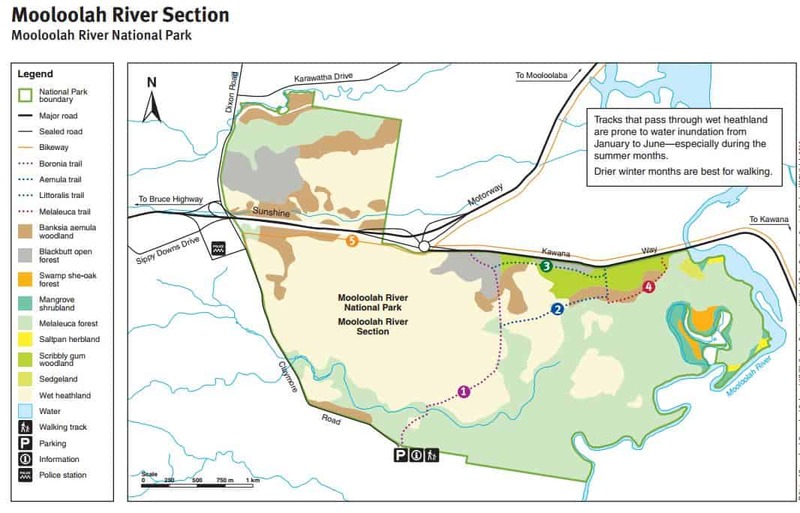 Boronia trail: 2.4km (one way), through eucalypt forest, creek and onto a large heath plain. Aemula trail: 1.3km (one way), taking you through woodlands and open forests. Littoralis trail: 1.1km (one way), a higher walk through woodlands and open forests. Paperbark trail: 850m (one way), a short walk with some challenging sections featuring casuarina forest. Most people visit the Mooloolah River National Park to view the abundant wildlife and plants. The best time to view the animals is during the evening or early in the morning when they are more active. There is a huge variety of animals in the park, including; lace monitors, snakes, lizards, eastern grey kangaroos and so much more. Some of the birds found here are the seed-eating yellow-tailed black cockatoos, honeyeaters and ospreys. 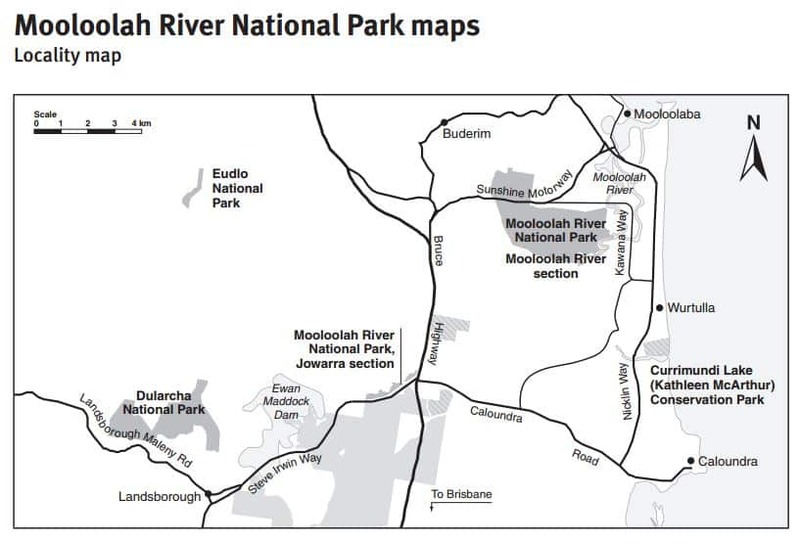 Camping is not permitted in Mooloolah River National Park however you can find camping areas at the nearby Beerwah State Forest (Coochin Creek). Dogs are also not permitted in the parks. If you prefer to stay closer to town click on the link below to find the best accommodation deals near the Mooloolah River National Park. There are a number of launching points along the river. Check out this page from the Sunshine Coast Council which provides a nice little table. Have a wonderful time kayaking with your family on the Sunshine Coast!